Amaravati, March 10: A recent opinion survey conducted by the popular media has put forth some surprising results. 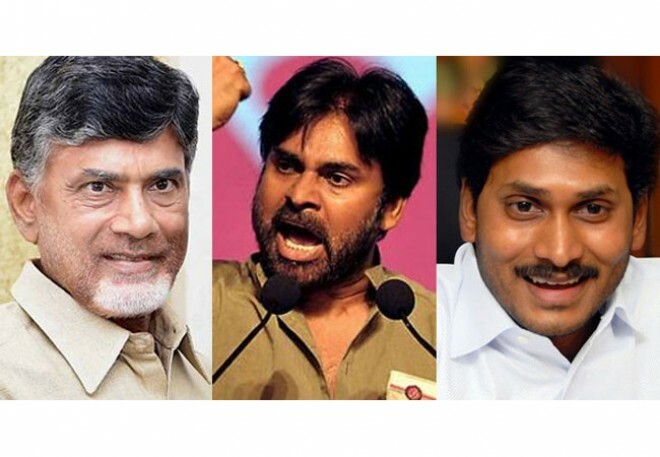 The survey predicted a neck-to-neck competition for YCP and TDP in the coming elections. Coming to details, In the opinion poll conducted on a large scale, people were asked who they would want as their Chief Minister in the next term. Surprisingly, 40.8% of them voted for YS Jagan, 40.2% for Chandra Babu and 15.9% for Pawan Kalyan. When questioned about where the ruling government failed, many had to say that TDP failed to bring Special Status for AP after being in power for 4 years. It was shocking to see the sudden drop in TDP's spike and people seem to have accepted Jagan's friendship with TRS and secret connection with the BJP. But only time will who will come to power in the coming elections.